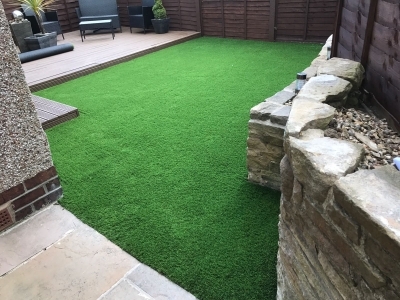 This is an artificial grass installation in Wakefield, West Yorkshire. 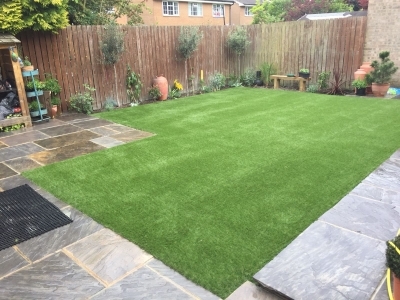 The customer had a 3 tiered garden which was a nightmare to lift up a heavy lawn mower for not really a big area. 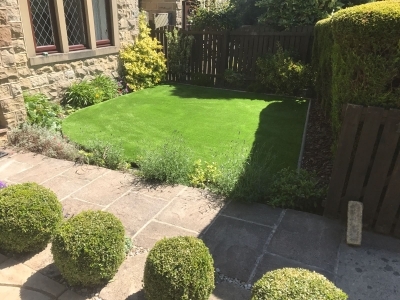 The lawn did need maintaining however as they had a very active dog running about. 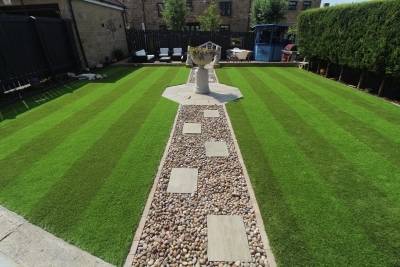 Artificial grass was the perfect solution for this garden. 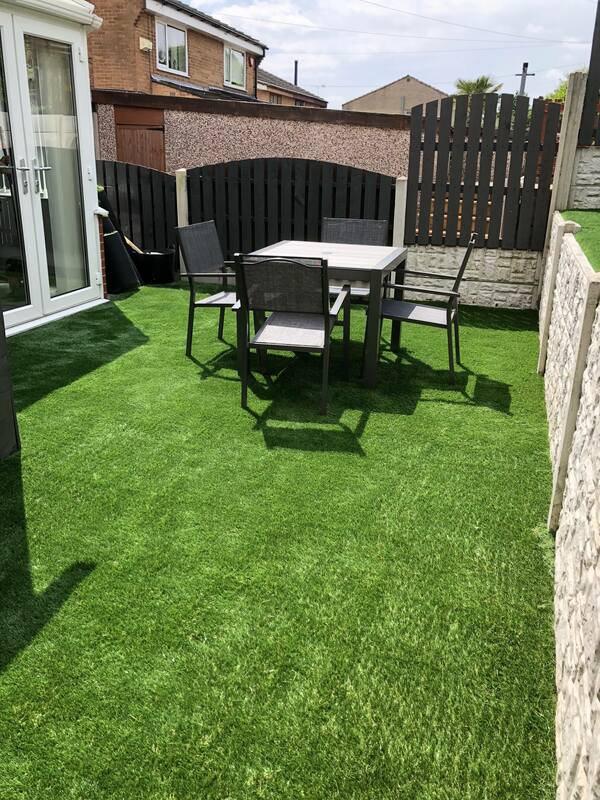 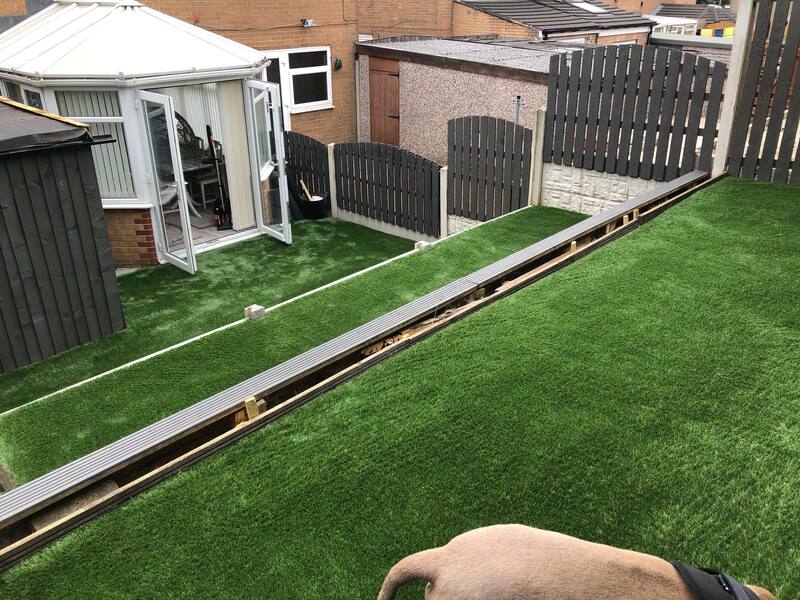 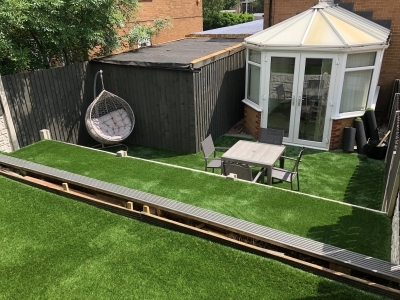 We installed the 25mm spring back grass, because its ideal for dogs to play on and due to the c shaped yarn, it wont go flat, unlike other softer grasses. 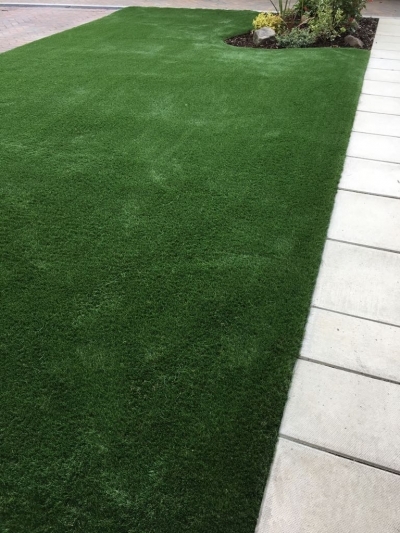 Also the shorter the grass yarn, it is supported by all the other grass blades, so it is more durable over the years. 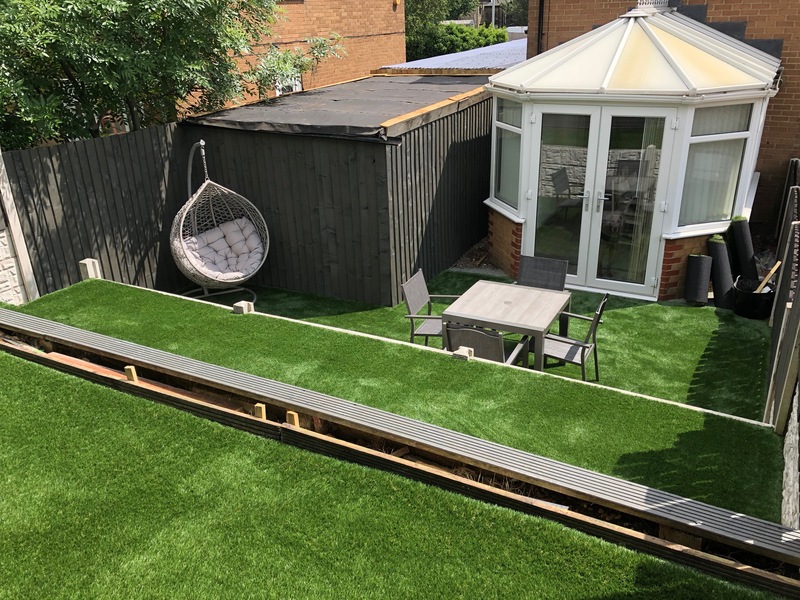 It only took our artificial grass installers 1 day to complete this job and now we guarantee the grass for the customer for the next 10 years. 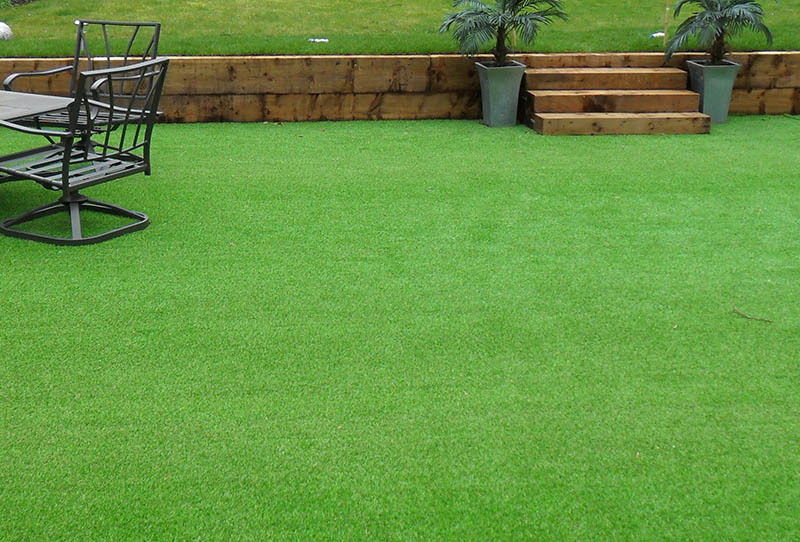 If you have a dog and are interested in artificial grass, feel free to contact us anytime, we are opon 7 days a week.